Giselle, sitting in her chair. 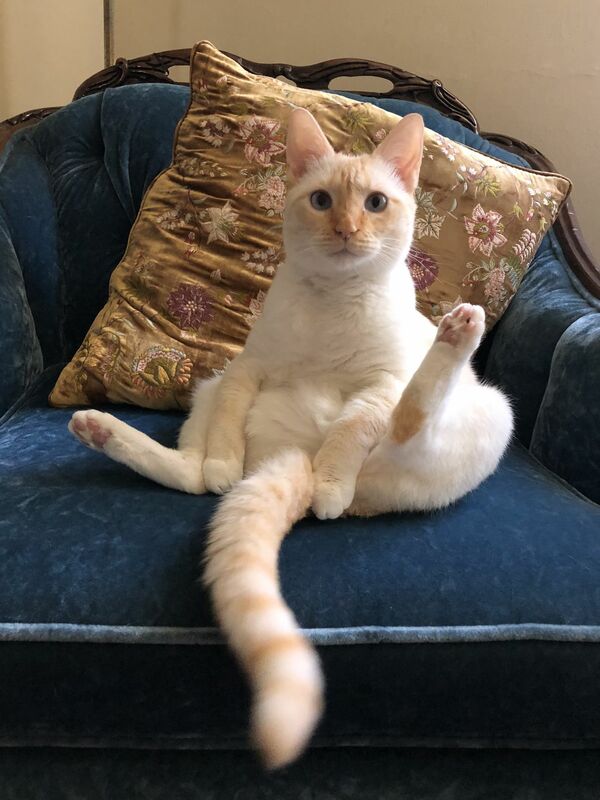 Who says I have to sit like a lady?! Date Uploaded: Aug. 12, 2018, 8:35 a.m.